I’m currently trying to promote my new mobile augmented-reality-game. Which is a lot harder than I expected it to be. So I tried to advertise it. I published a post on Facebook with an animated GIF which reached 41 persons. Not much. Then I invested $10 and tried promoting this post to people with interests that I selected. The results a pretty difficult to interpret. Facebook spreads the statistics over several places (in tiny windows) and basically avoids all industry standard terms. Instead they use terms that I can’t find definitions for. So I ‘reached’ 2.164 persons, but only 1.087 saw the video? And some things don’t match at all. The average playing time was 4 seconds. With 1087 videos played, the total time should be around 72 minutes. But Facebook says it’s 171 minutes. Google accusing Apple of “Unacceptable Business Practices”? It sounds like an April Fools’ Day prank. But I didn’t make this one up. Promise. 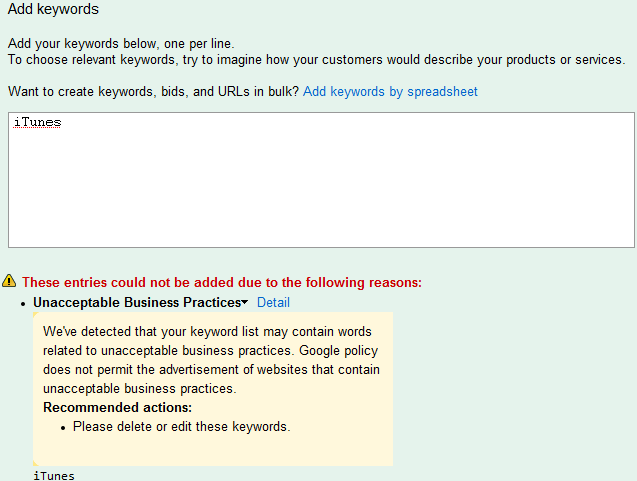 We’ve detected that your keyword list may contain words related to unacceptable business practices. 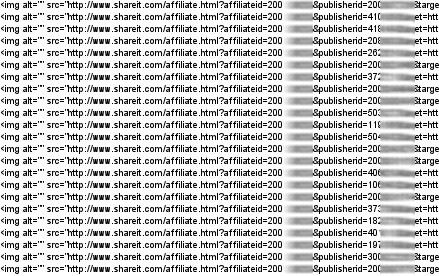 Google policy does not permit the advertisement of websites that contain unacceptable business practices. Recommended actions: Please delete or edit these keywords. So is Google accusing Apple of “Unacceptable Business Practices”? Sounds like it. I know that they didn’t really like each other since Google started Android, but this is pretty heavy stuff. Posted in business | Comments Off on Google accusing Apple of “Unacceptable Business Practices”? When doing screenshots of your software you may face some problems with the buttons in wizard and property sheet dialogs. The buttons at the bottom of these dialogs are drawn by Windows, with the language of your Windows installation. That can differ from the language of your application. The result doesn’t look professional. An English dialog with (for example) German “Zurück” / “Weiter” buttons (instead of Back / Next) won’t impress the customers. We visited Scotland this year and having my own little business, having access to the internet was important to me. It was a lot easier than expected. Very many Hotels and B&Bs have WiFi nowadays – a lot more than in Ireland two years ago. So it was easy to go online with my laptop. Except for the B&B that had WEP2, which my (old) laptop doesn’t support. Just for the heck of it, I also wanted to have internet access with my cell phone – that however was quite difficult. The mobile company “Three” seemed to offer good rates for prepaid connections. I had researched that before. However, they don’t sell them at the store. The vendor guy send us to the O2 store next door. Now I only have to remember to cancel the “bolt-on” (SMS “web off” to 21300) before I return home….